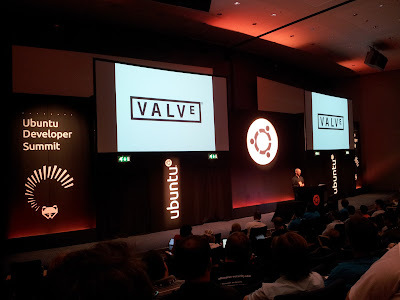 In a presentation at Ubuntu Developer Summit currently going on in Denmark, Drew Bliss from Valve said that Linux is becoming more viable platform as an alternative to Windows 8. Windows 8 ships with its own app store and it is moving away from an open platform model. Steam client is running nicely on Ubuntu and many developers have approached them with good game products. Cooperation with Canonical has been good. Ubuntu is preferred platform as it has a large user base and good community support with a strong company like Canonical behind it. Linux has everything they need: good OpenGL, pulseaudio, OpenAL and input support. New Source engine games will be available for Linux. No firm time frame for Steam Linux release, but soon. Copy protection is up to the game publishers. Drew announced that anyone with a Launchpad account attending UDS will be given Steam access through a beta key. 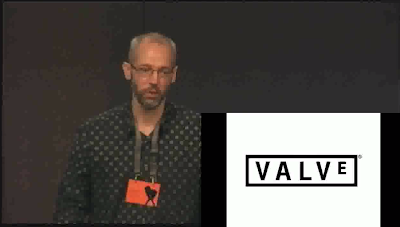 When asked about new Team Fortress 2 Hats, he said that some rumors have been circulating but he has no information about it. At the moment no video feed is available but a recording should be uploaded in couple of days on Ubuntu Developers channel. Update: Steam Linux Beta will have Portal, Team Fortress 2 and Serious Sam 3: BFE as first games. Unreal tournament on linux running 64bit before Intel or Microsoft even had 64bit...I almost felt guilty fragging my competition. openGL looked different than DirectX but it was much smoother and seemed superior tesselation made projectiles going off into distance look awesome. Id game under linux, but hardly have time any more. I don't get the premise of his statement. Is it that Linux has the foundation you need to build the same games that you can on windows, but you don't have to use the metro store to distribute? If so that's just wrong, it's only necessary to use the store for metro apps/games.